Pick a destination and go ride. 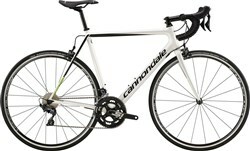 The Cannondale Synapse Carbon Disc is a sportive road bike with a race attitude. It’s great for endurance riding, making comfort a priority. 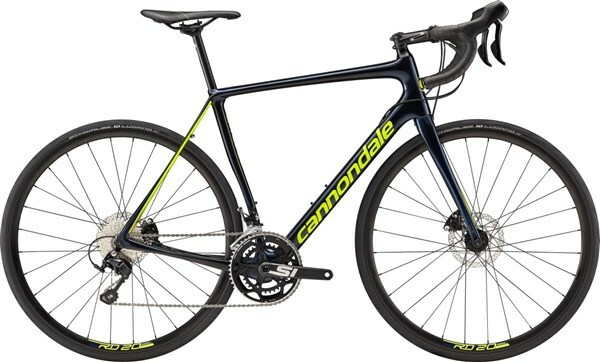 The Synapse Disc fork has Asymmetric technology and is made with BallisTec Carbon. It uses SAVE PLUS technology to flex slightly for comfort and bump control, pairing up perfectly to the frame for an all-round supple ride. It also has a 12mm thru-axle to match the frame. The Shimano 105 2x11 speed drivetrain gives near race quality shifting to help you optimise your speed on the Synapse. Keeping speed in check are RS505 hydraulic disc brakes, which offer powerful performance in any weather condition. Set off for the long ride with the Cannondale Synapse Carbon Disc 105.